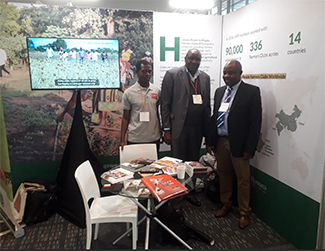 A team of Humana People to People has traveled to Cape Town, South Africa, to participate in the 5th International Climate Change Adaptation Conference, which is held until June 21. The objective is to share knowledge and experiences about the work that is being carried out in the countries of the South regarding the mitigation and adaptation of rural communities in the face of the consequences of climate change. Humana works with small farmers to sustainably improve agricultural productivity and help build more resilient communities against the effects of global warming, such as floods or prolonged periods of drought. According to the World Bank, growth in agriculture is, on average, at least twice as effective in the fight against poverty as in other sectors. To understand this fact, we must bear in mind that approximately 500 million small farmers produce 80% of the food consumed worldwide. Humana's work with small producers is based on the Farmers Club model, groups of farmers formed by 50 members each working on aspects such as the introduction of more sustainable farming methods. Through them, the start-up of processing centers or the marketing of surpluses in local markets is articulated to achieve an alternative source of income. Through the clubs, other community development actions are promoted, such as adult literacy classes or training sessions and information on health and hygiene, for example. In addition, they serve as a lever for women's empowerment, since women are involved in the management of clubs and in decision-making. Annually some 90,000 farmers participate in the more than 330 Farmers Club underway. 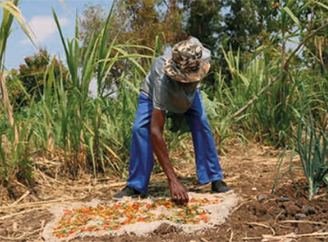 In 2014, DAPP-Zambia began the implementation in the south of the country of a climate and rural resilience project that has the support of the World Food Program, in which more than 2,800 farmers have participated. The action includes several novel initiatives. 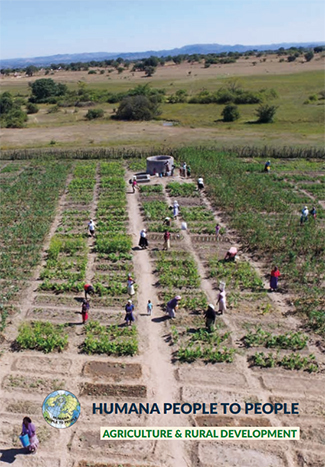 For example, the hiring of an insurance policy to use in case of loss of crops due to extreme weather events; In addition, manual and automated rain gauges have been installed to control the volume of rainfall and adapt the crops according to them; for this, he has formed part of the members of the club; On the other hand, savings groups have been created in order to raise funds to make small loans and investments that favor the improvement of the living conditions of the communities. Water is undoubtedly a source of life. For this reason, our local partner ADPP-Mozambique has promoted various actions to improve access to water resources, such as the SUSTAIN AFRICA project, in collaboration with The International Union for Conservation of Nature-IUCN. This project has placed emphasis on the efficient use of available water, through the implementation of simple irrigation systems that increase the capacity of the soil to retain moisture, which results in a better development of the vegetation. Another area in which work is the use of renewable energy, as is the case of the project implemented in Oio by ADPP-Guinea-Bissau, within the 'Energy Facility' of the European Union. It is based on improving access to sustainable and accessible energy services for rural and peri-urban populations. The project started in 2012 and achieved several interesting challenges such as the establishment of 26 water pumping systems using solar energy and the construction of seven production centers to facilitate access to processing machines for local crops in the community. In addition, photovoltaic systems were installed to generate electricity and energy in 51 community facilities, including schools, mosques, health centers and community centers. 2,600 Bissora families benefited from these improvements. Many of them have pointed out that thanks to the project, the workload for women has been reduced (when it comes to obtaining water, for example) and the agricultural production and income of the people involved has increased.